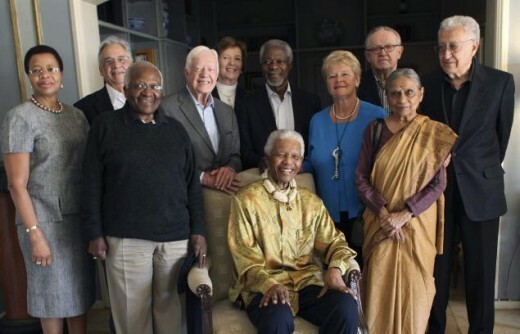 The group were brought together by Nelson Mandela in Johannesburg in 2007. The concept originates from a conversation between the entrepreneur Richard Branson and the musician Peter Gabriel. The idea they discussed was simple: many communities look to their elders for guidance, or to help resolve disputes. In an increasingly interdependent world – a ‘global village’ – could a small, dedicated group of individuals use their collective experience and influence to help tackle some of the most pressing problems facing the world today? 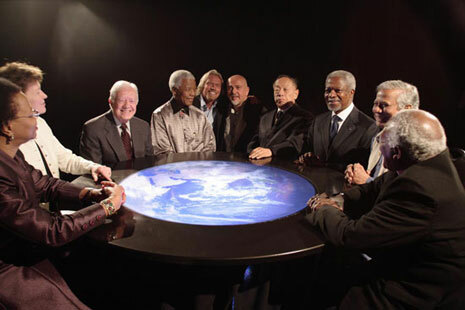 Richard Branson and Peter Gabriel took their idea of a group of ‘global elders’ to Nelson Mandela who agreed to support it. With the help of Graca Machel and Desmond Tutu. Here is some background about the formation and work of The Elders. What do The Elders stand for? The Elders is an unusual organisation with a distinct way of working. The Elders work strategically, focusing on areas where they are uniquely placed to make a difference. This can mean engaging in private advocacy, using their collective influence to open doors and gain access to decision-makers. At other times, The Elders work publicly to promote neglected issues and speak out against injustice. The Elders are cautious not to claim all the credit for making a difference. Much of The Elders’ work is dedicated to supporting the efforts of other campaigners and advocates, giving them a platform to make their voices heard. You can find some videos about their work here. How do The Elders decide what action to take? The Elders are in regular contact with each other, and meet twice a year to review their activities, discuss current priorities and plan their upcoming work. Identifying situations where the Elders’ involvement can make a positive impact, and where they – as Elders – are uniquely placed to act, often means making difficult decisions. The group isn’t always able to intervene in particular conflicts or prevent cases of human rights abuse. These decisions are always made by consensus and new areas of work are only adopted with the agreement of the group.